When the weather is perfect outside, being stuck in the office is a terrible thing. 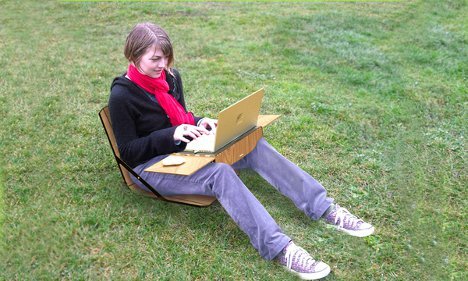 But how many of us want to balance a laptop on our knees as we sit on a filthy park bench? 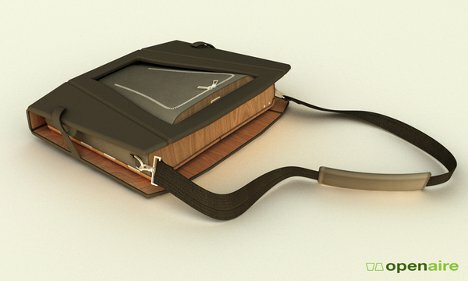 The Openaire from NICK+BEAU is a very clever solution that integrates a portable workstation into an easily carryable laptop bag. 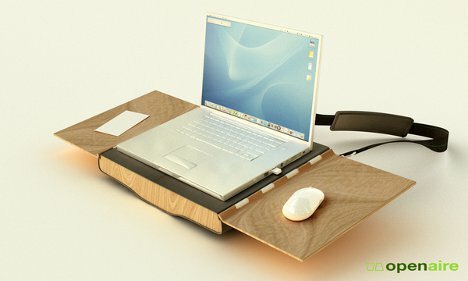 Openaire has a rather ingenious design that incorporates everything you need to work away from your desk. 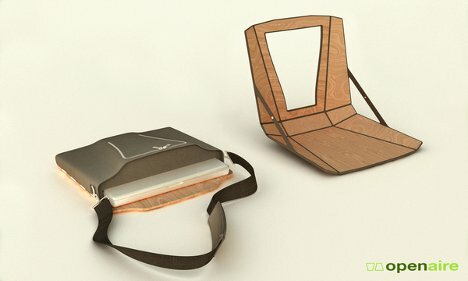 After you remove the strap, the bag transforms into a small seat and a comfy lap desk complete with a space for a mouse and a space for other accessories. 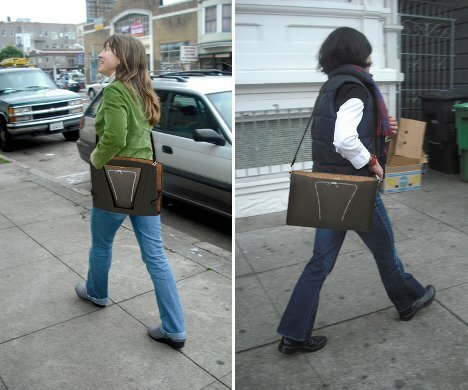 When it’s all folded up and slung over the shoulder, it looks similar to any other laptop bag. It might be slightly heavier than other bags, but the components all strike a balance between sturdiness and light weight to be the perfect work-away-from-work solution.